One out of three pets will go missing in its lifetime. Make sure your pet has every chance possible of making it home safely. A microchip is your pet's ultimate safety net if its tag is lost or collar breaks and it ends up at a shelter, but collar tags also play a vital role in reuniting you with your lost pet. 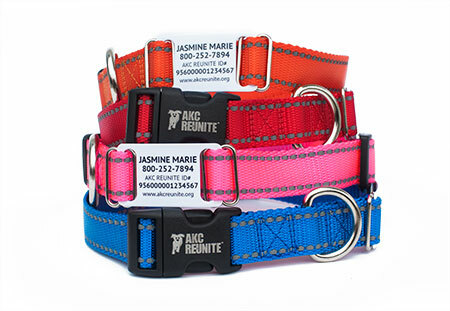 With AKC Reunite, your pet’s collar tag is linked to all of your contact information, as well as your emergency backup contacts. Plus, Good Samaritans are more likely to help a lost pet with a collar tag than without so choose your favorite design, size and color today! Our personalized pet ID tags provide quick and easy access to our dedicated 24/7 Reuniters PETline. 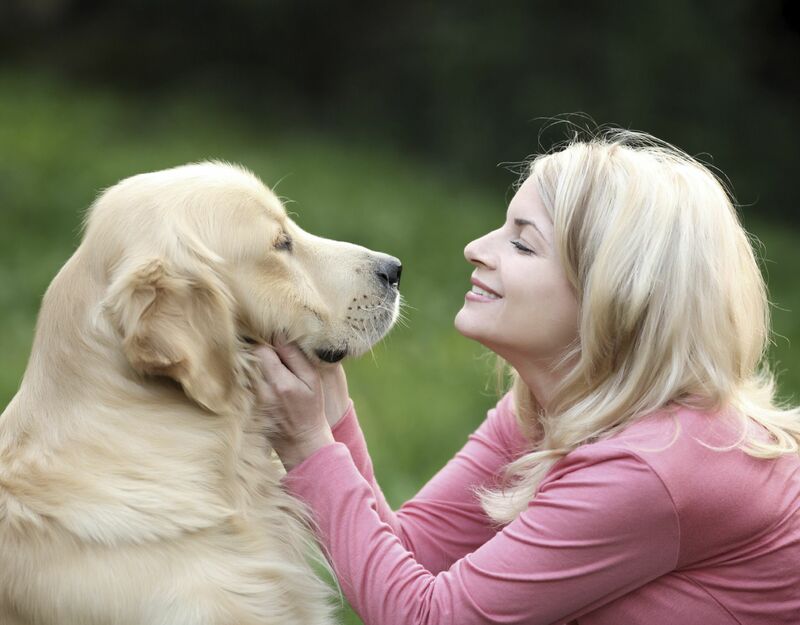 We offer an array of styles and colors to match your pet’s personality. On many, you get to add your pet’s name too! ADD A COLLAR TAG SILENCER FOR ONLY $1.99! 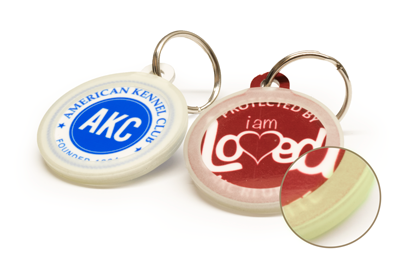 This sturdy plastic silencer fits snugly around your AKC Reunite collar tag, reducing the clanging jingle of your pet’s ID tag with its rabies tag, while protecting the tag’s edges from minor chips. Silencers are especially recommended for pets that eat and drink out of metal bowls. The glow-in-the dark material also provides an extra layer of protection for your pet. CHECK OUT OUR PAWSOME TAG DESIGNS! Including: red, pink, blue, black, green, purple and clear (stainless steel)! The plastic tag that came with your pet’s microchip provided immediate identification but is not a long term, durable tag. 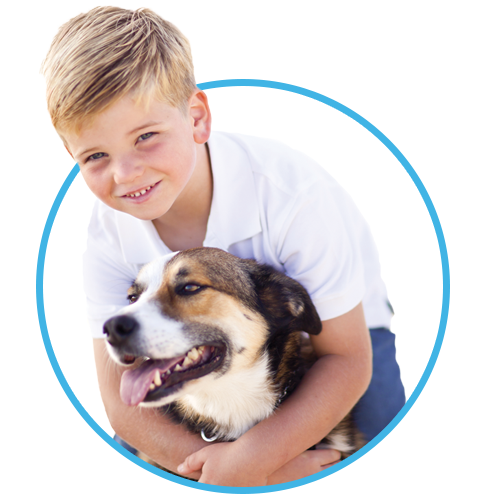 Visual pet ID with AKC Reunite is a simple way to keep your pet protected. 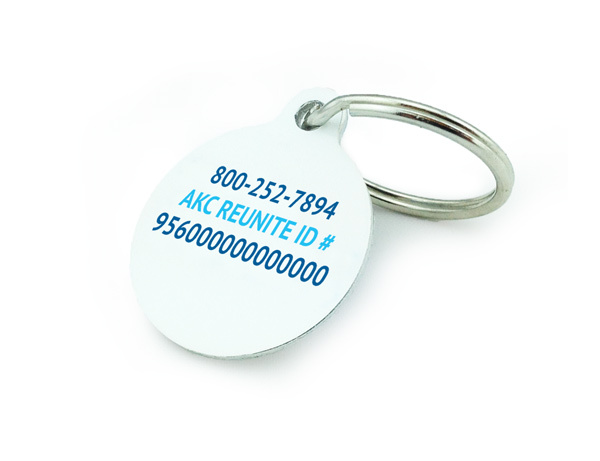 With an AKC Reunite collar tag, when a Good Samaritan finds your pet, they can easily call our toll free 800# that is located on the pet ID. Once our Reuniters Helpline has been notified of the found pet, we will immediately call, email and text you to let you know your furry friend has been found. If you cannot be reached, we will call and email your pet’s alternate emergency contacts too! Thanks to our pet ID, backed with the protection of our recovery service, pets have a greater chance of being reunited with their owners. 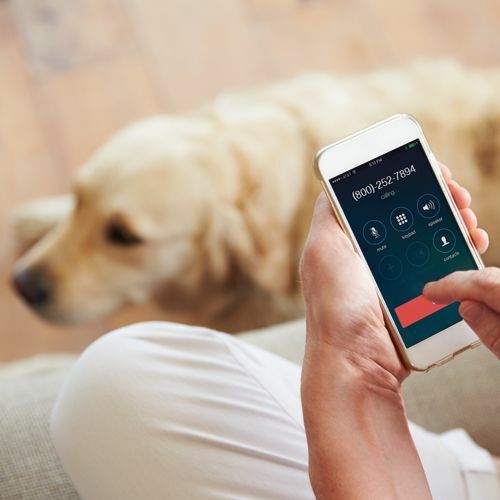 No ordinary, store-bought collar tag gives you the peace of mind of having pet recovery experts standing by 24/7 to contact all of your pet’s emergency contacts to help reunite you and your lost pet.